This post concludes and recaps my series on the handling of probation revocation cases in Peoria, Illinois. I decided to write on this topic due to the fact that many defendants make the mistake of thinking that there is “nothing they can do” once they face revocation. The fact of the matter, however, is that you or a loved one may have more options than you realize. The goal of my last several posts has been to provide information which will help you to better understand your options. It cannot be stressed enough that you should contact an attorney as soon as possible if you find yourself in such a situation. There are multiple reasons why defendants must take the time to understand these issues. First, many make the mistake of thinking that they must commit a new offense in order to have their supervision revoked. This is not the case and, in fact, a supervisor may seek revocation for something as minor as the defendant’s failing to check in. Second, one’s probation is not guaranteed to be revoked simply because the supervisor has made such a request. At the end of the day it is up to the Judge as to whether or not a defendant will be reinstated. There are instances in which a Judge may rule against revocation. Finally, it is crucial to understand that reinstatement is a “second chance” and that a Judge will have little patience for a defendant who does not make the most of that opportunity. One point I have repeatedly stressed is that a criminal defense lawyer must be immediately retained if you or a loved one risk having your probation revoked. 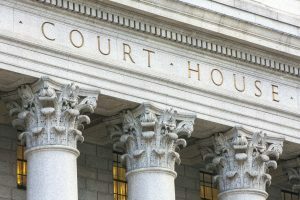 The sooner you hire counsel then the sooner it is that your representative can begin interviewing character witnesses and exploring other avenues for possibly defending the case. It is also important that you retain someone who is familiar with handling such matters in order to improve the chances of the case being handled properly. I am a former prosecutor and am familiar with the Peoria criminal justice system. I believe that everyone is entitled to the most vigorous defense and give each case I handle the attention it deserves. Contact my office today to speak with an attorney. I service the cities of Bloomington, Eureka, Galesburg, Morton, Normal, Pekin, Springfield, and Washington. I also serve the counties of Fulton, Knox, LaSalle, Marshall, Mason, McLean, Putnam, Rock Island, Schuyler, Stark, Tazewell, and Woodford. I also handle federal cases in Urbana.